Established in 1930, the Yerkes National Primate Research Center paved the way for what has become the National Institutes of Health-funded National Primate Research Center (NPRC) program. For more than eight decades, the Yerkes Research Center has been dedicated to conducting essential basic science and translational research to advance scientific understanding and to improve human health and well-being. Today, the Yerkes Research Center is one of only seven NPRCs. Our vision is people across generations and the world living longer, healthier lives. In partnership with the National Institutes of Health (NIH) and others, the NPRCs conduct and enable studies that make breakthrough discoveries of causes, preventions, treatments and cures possible. Yerkes research is grounded in scientific integrity, expert knowledge, respect for colleagues, an open exchange of ideas and compassionate, quality animal care. Our research programs are seeking ways to: develop vaccines for infectious and noninfectious diseases; increase understanding of progressive illnesses, such as Parkinson’s and Alzheimer’s diseases, and develop methods for the earliest possible diagnosis; unlock the secrets of memory; treat and even prevent autism spectrum disorders, fear and anxiety-related disorders, and drug addiction; advance knowledge about the evolutionary links between biology and behavior; and interpret brain activity through imaging. The center, which has more than 3,000 nonhuman primates (rhesus macaques, sooty mangabeys, squirrel monkeys, cynomolgus monkeys and chimpanzees) and approximately 7,500 rodents (mice, voles and rats), is a part of the The Robert W. Woodruff Health Sciences Center (WHSC) of Emory University. The WHSC is working to pioneer new ways to prevent and treat disease, prepare the next generation to save and improve lives, provide the highest quality clinical care possible and serve the community. 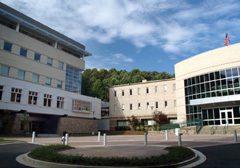 The center's components include Emory University School of Medicine, Nell Hodgson Woodruff School of Nursing, Rollins School of Public Health, Yerkes National Primate Research Center, Winship Cancer Institute and Emory Healthcare, the most comprehensive health system in Georgia. The Woodruff Health Sciences Center has $3.8 billion in operating expenditures, almost 25,000 employees (including 3,205 faculty), 1,274 affiliated faculty, 5,115 students and trainees, and a $7.5 billion economic impact on metro Atlanta. The groundbreaking discoveries being made at Yerkes would not be possible without the knowledge and conviction of our researchers and staff who are as dedicated to scientific discovery in nonhuman primates as they are to the highest quality animal care and enrichment. The center follows regulations and guidelines established by the National Institutes of Health, the U.S. Department of Agriculture and Emory’s Institutional Animal Care and Use Committee, and we have maintained accreditation from the Association for the Assessment and Accreditation of Laboratory Animal Care for more than 30 consecutive years. Through generous gifts from friends of the Yerkes Research Center, we will continue to advance science and improve health by recruiting the best scientists, investing in the next generation of researchers and maintaining our state-of-the-art research facilities. To learn more about the Yerkes Research Center’s funding priorities, click here. Your support is critical to our continued success and the health of our nation and the world. Programs at the Yerkes National Primate Research Center are supported in part by the National Institutes of Health, Office of the Director (P51OD011132).